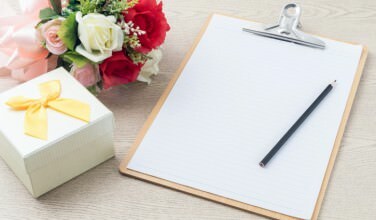 Once you receive an invitation to a Greek wedding, it’s time to begin thinking about what you will give the happy couple for a gift. It’s customary to give them something even if you don’t attend the wedding. Once you get the official invite, you’re locked into getting them something. 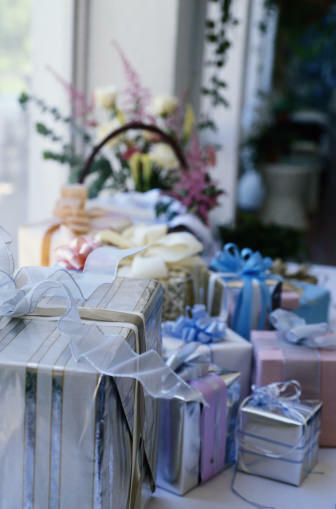 Here are some guidelines for finding perfect Greek wedding gifts. No matter if you decide to give the couple money or if you decide to buy them a gift, deciding how much to spend can be very tricky. It will depend on how well you know the bride or groom, how formal or expensive the reception is, and how much money you have to spend. Here are some tips. Coworker or acquaintance. Plan to spend around $75-$100 for the wedding gift per person. If you’re attending as a couple, add value to the gift accordingly. Relative or friend. You should spend at least $100. If you are going as a couple, adjust the amount accordingly. Immediate family and close friends. Plan to spend at least $150 dollars or so for the gift. If you are buying the gift as a couple, you should spend at least $300. Only you can really decide how much you are comfortable with. Remember that these are just guidelines and each situation will be different. You can be as generous as you would like no matter how well you know them. If the bride and groom have a registry, it is up to you if you want to get them an item from that registry. Some couples register their items in time for the bridal shower. However, there may still be items left on the registry that weren’t purchased for the shower. It is perfectly acceptable to either use the registry to help you select a gift or give them a gift certificate to that store. However, if you would rather give them something else, you don’t have to feel obligated to stick with the registry. 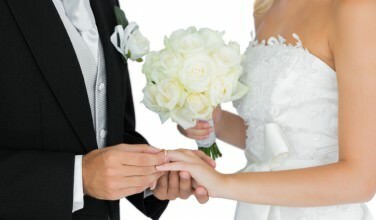 You have two choices as to what to get the couple if you are unable to attend their wedding. First of all, you can give them a check or some cash. It is acceptable to give them less than you would if you attended the wedding. However, how close you are to the bride and groom will also be a factor that will help you determine the amount. Giving money is your easiest option. Another option is that you can select a gift from their registry and either drops it off to their homes or you can order it online and have it delivered. If they don’t have a registry, you can use your judgment as to what you will give them. Giving the perfect gift can be tricky. As long as you put some thought into your present, the bride and groom will be happy with whatever you select. If you are at a loss as to what to give them, money is always a safe bet.